I wish Tyson Hesse just handled all Sonic art. He's back in the spotlight since Sonic Mania is right around the corner, and the latest preview showcases the awesome opening he animated and directed. Check out the clip, which features a bunch of classic Sonic goodness set to the music of Hyper Potions, below. 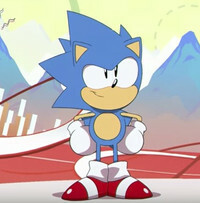 Directed and animated by Tyson Hesse, with animation from Anthony Holden and Mariel "Kinuko" Cartwright. Sonic Mania hits PlayStation 4, Xbox One, and Switch digitally on August 15, but the PC version has been delayed. It's now set to launch on August 29, so there are just a couple extra weeks of waiting ahead.